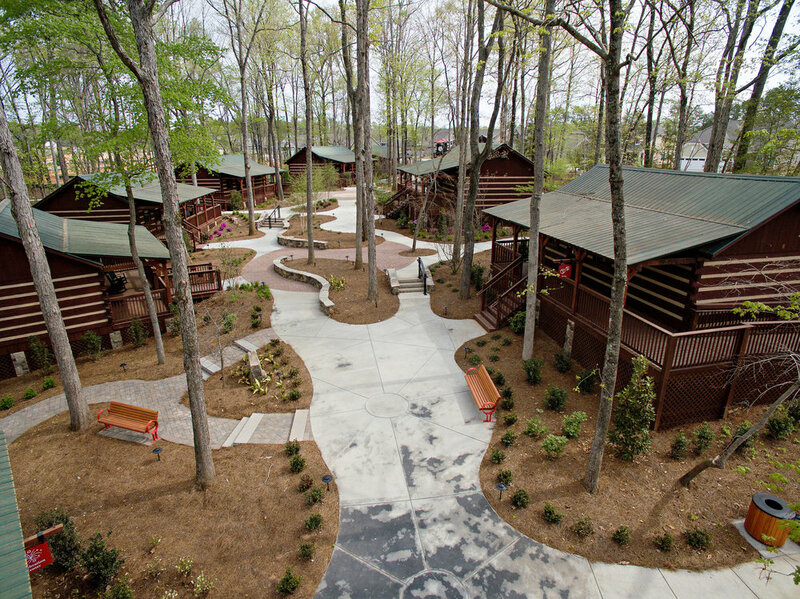 Tree Tops is an active adult community in Lancaster, SC, with a unique, resort-style amenity center featuring ten renovated cabins once occupied by a summer camp for disadvantaged children. In this serene, wooded setting, we created a collection of community buildings designed to encourage smaller gatherings and promote meaningful interaction between residents. 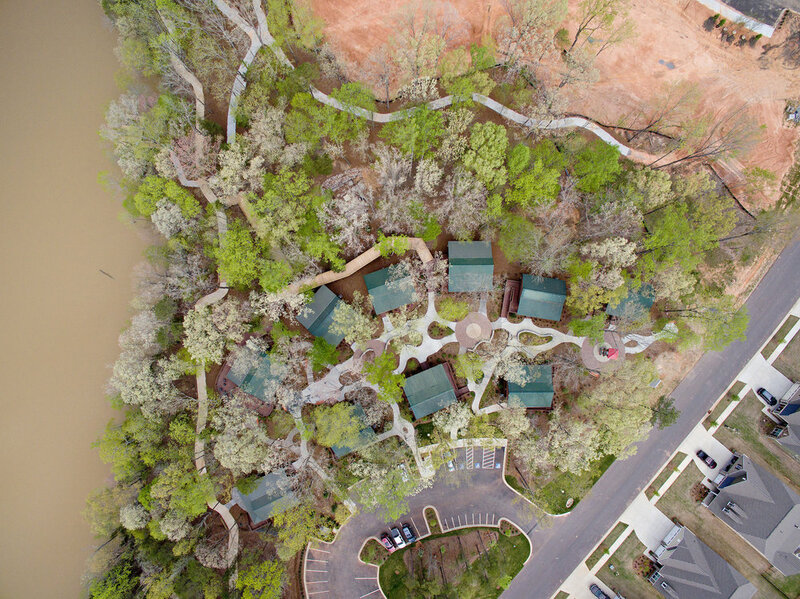 Each cabin is dedicated to a different interest or activity — an Arts & Crafts Cabin, Reading Room, Business Center, Sewing Room, Fitness Center, Billiards Center, Card Room, Multipurpose Center, and one cabin that serves as the Post Office. The Celebration Center, designated for entertaining, has a large deck overlooking the lake, and a cozy double sided fireplace for gathering indoors or outside.